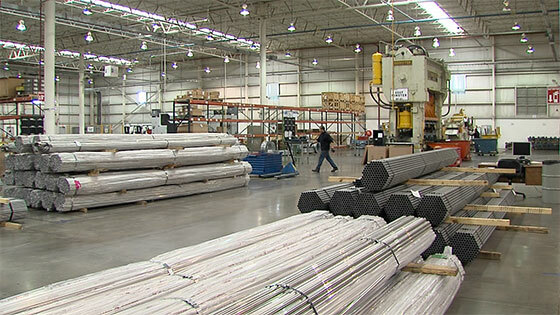 At Waukesha Metal Products, precision metal stamping and metal forming are at the core of our expertise. We’ve been in the business of metal stampings for over 40 years, and the experience we’ve gained through that long history is a huge asset. Of course, we build on our tradition by embracing the latest technologies, constantly striving for innovative ways to serve our customers. 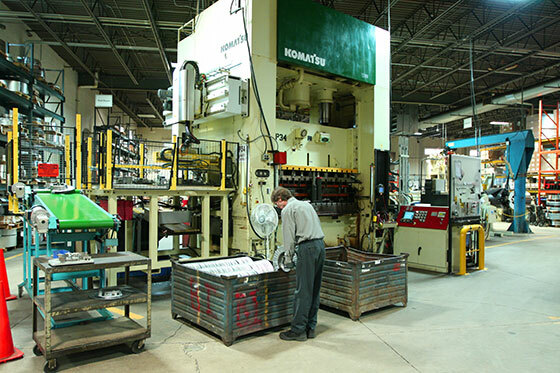 Waukesha Metal Products has large to small precision stamping presses. Our presses range from 1.5 to 660 tons, with bed sizes up to 145 inches and speeds up to 400 strokes per minute. Specializing in automated precision progressive dies, our feed capability ranges from 0.008 to 0.375 inch thick material with coil widths up to 50 inches and weights to 15,000 pounds. In addition, our investment in servo press technology puts us at the leading edge of the metal forming industry. Click here to learn more about those innovative technologies. For a complete list of our metal stamping equipment, click here. This broad range of advanced equipment gives Waukesha Metal Products an extraordinary amount of flexibility both in the length of the production runs as well as materials. In combination with our wide range of metal stamping technologies, we have developed our own proprietary advanced die sensor technology program to provide quality assurance as well as automation opportunities for in-die assembly, in-die welding and in-die measurement. Click here to learn about our constant focus on quality assurance.